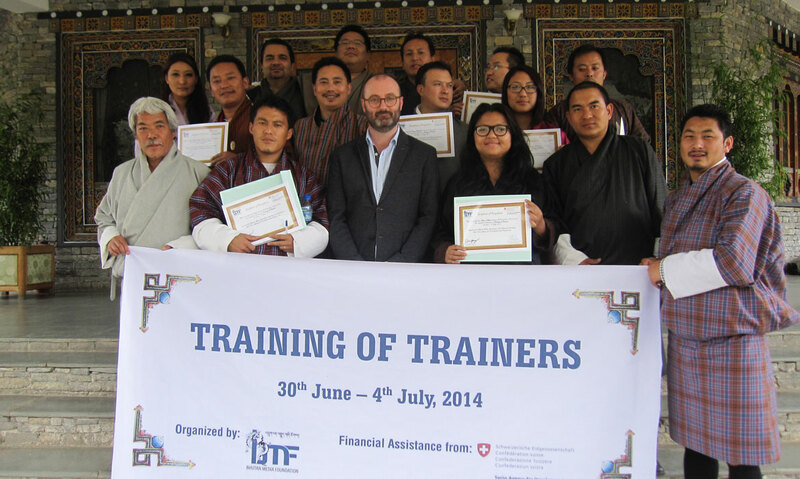 The training was held in Paro from 30 June to 4 July 2014. The goal of the five-day workshop was to empower future media trainers to acquire new knowledge and skills in the design, delivery and evaluation of core competency media development programmes. The target audience was editors, senior reporters and freelance media trainers. The training was provided to participants from the print and broadcast media. A pool of 14 media professionals were identified and trained to be trainers.